Be it for work or play, let Pan Pacific Melbourne see to your travel needs. 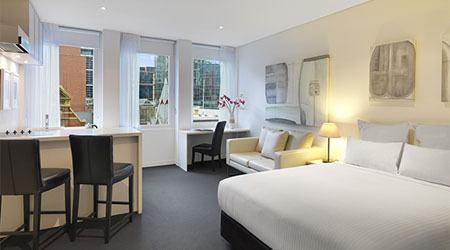 Ideally located on South Wharf along the Yarra River, our luxury hotel is the perfect base to discover this vibrant city. Mid-scale hotel for business or family trips - New playground to meet, dine, shop and stay. 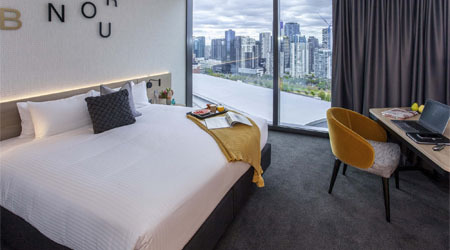 The newly built four star Novotel Melbourne South Wharf stands proudly in one of Melbourne's oldest locations, the historic South Wharf promenade. 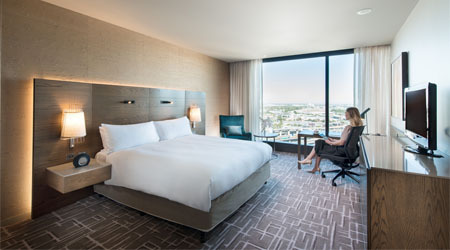 The hotel is complemented with direct access to the Melbourne Convention & Exhibition Centre (MCEC), the Southern Hemisphere's largest meeting space. All rooms and suites feature modern and thoughtfully designed bathrooms with walk-in showers and back-lit mirrors. 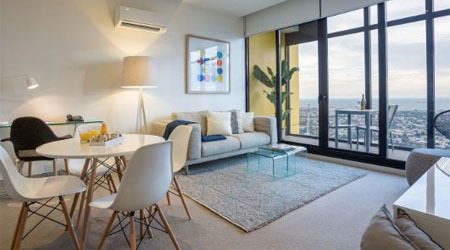 Featuring floor to ceiling windows with views across the city or towards Port Philip Bay. Each Superior room has a King Bed. Bathrooms feature walk-in shower & Fair trade sugar cane amenities. Best Western is like a family home that welcomes travellers. Our 114 bedroom hotel, set across 5 storeys, is your quaint inner city home away from home that offers comfort and convenience all on a cost-effective budget. As comfortable as it is compact, the Shoebox Room provides all the amenities and features you need at a price you can afford. Ideal for a single person looking for a one night stay hotel, but equally as suitable for two people. 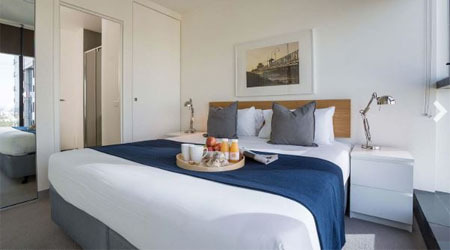 Best Western Hotel prides itself on offering double rooms that are cleaned to the highest of standards and are loaded with features that will make you feel right at home. 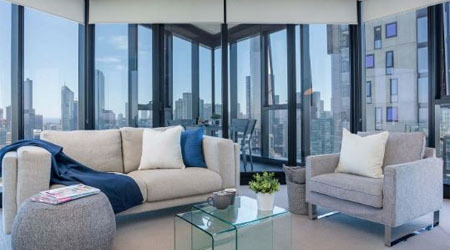 Overlooking rows of mature elm trees and some of Victoria’s most classic architecture, the 4.5 star Oaks on Collins is fashioned on New York-style living and stretches 20 floors up, providing uninterrupted access to the business, shopping and entertainment precincts that lie below. Our selection of stylishly appointed Studio Executives offer scenic views of lively Collins St or private balconies overlooking St James Lane. 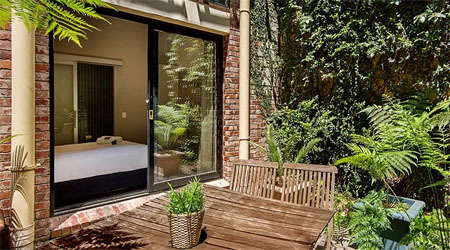 Rooms are also equipped with full kitchens, LCD TVs, Foxtel and Internet access. Includes 30 minutes continuous use of FREE INTERNET per day. The ‘Your Style’ range offers 4 star, self-rated long or short stay accommodation. Our rooms boast stylish and modern interiors and are the perfect home away from home for our guests. Our seamless delivery of service excellence ensures our guests experience a stay that exceeds their needs and expectations. We surprise and delight our guests with our service and shared knowledge that help create unforgettable memories. Accommodation will not be confirmed until payment of the first night is received by Credit Card or full pre-payment is received by Cheque or Electronic Funds Transfer. Your payment will be forwarded to your hotel and credited to your room account. Delegates must settle the balance of their account with the hotel concerned upon check in/out depending on the hotels policy. If accommodation deposits are not received before 12 August 2018 your room will be cancelled and released back to the hotel. The WSDM Accommodation Secretariat does not take responsibility for accommodation if payment is not received by this date. No accommodation payments will be refunded on or after 2nd January 2019. 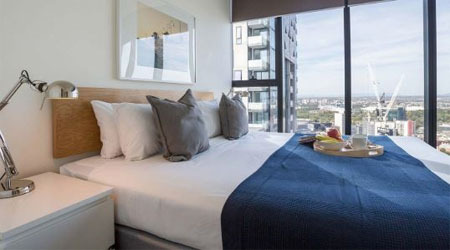 Participants who confirm an accommodation booking with a credit card or full pre-payment and who wish to cancel on or after 2 January 2019 are liable for the full cost of their accommodation nights cancelled. To cancel your reservation, please contact The Accommodation Secretariat at wsdm2019accommodation@icmsaust.com.au. Name changes to a reservation can be made at no charge. Any change in booking must be made in writing to The Accommodation Secretariat and NOT directly to the hotel before 2nd January 2019. Any changes received after 2nd January 2019 will be at the hotels discretion and based on availability.